"What's the average price for a frame only?" Hi Trish. We are often asked this, and it is typically because customers wonder if they can find a better, or lower-priced lens to fit their custom Topology frame. However we only offer frame and lenses together as a single package, and do not sell the frame separately. Lenses can’t focus unless they are correctly positioned. Just like focussing a camera or microscope, the slightest adjustment to the placement of a lens makes the difference between blurry or clear vision. 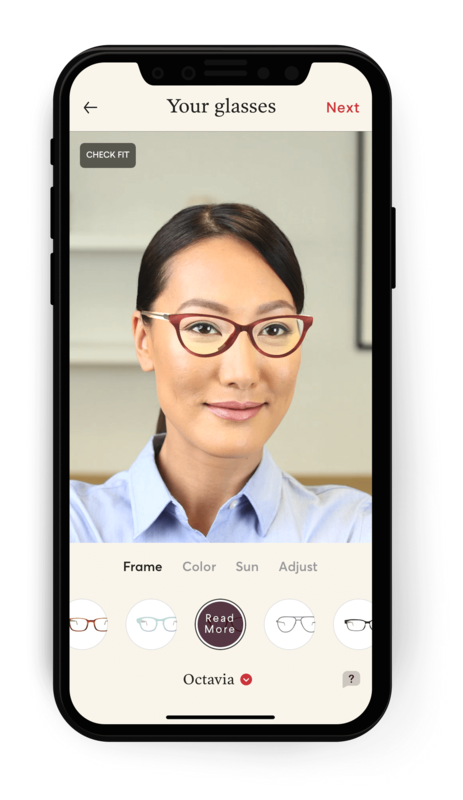 So the job of your eyewear frame is to hold your lens in exactly the correct position for your face. And from there the job of your lens is to refract light onto exactly the correct spot on your retina. If your lenses are made without detailed knowledge of precisely where your frame will place them in relation to your eyes, the focus of your lenses will likely miss the target, and you will not get the vision that your prescription intended. At Topology, we take thousands of mili-meter accurate measurements from your face scan to calculate the exact position of your lenses in six-dimensions. No human using traditional measurement tools could ever be as accurate. Lenses custom-made perfectly for you, and only you. We then actually customize your lens, adjusting the focal point and refraction, before making them individually to order to provide more precise vision correction, based on your prescription. We don't want you to worry about lens quality when you are choosing your Topology eyeglasses, so we only offer the absolute best lenses that money can buy. When comparing the price of Topology lenses to any other supplier, be sure to consider all of these factors, and let us know if you have any more questions.